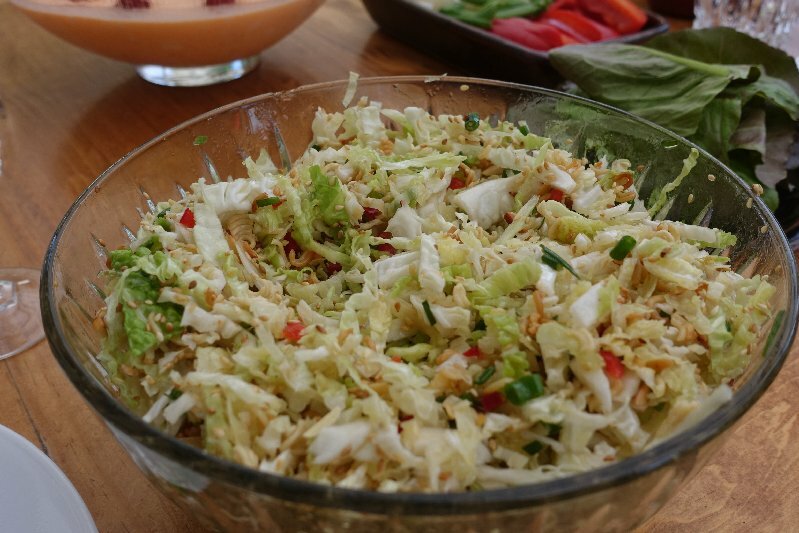 but because I've tweaked the recipe I've renamed it "Oriental Cabbage Salad". I found the original dressing very sweet so I reduced the sugar, and then added red peppers for colour. 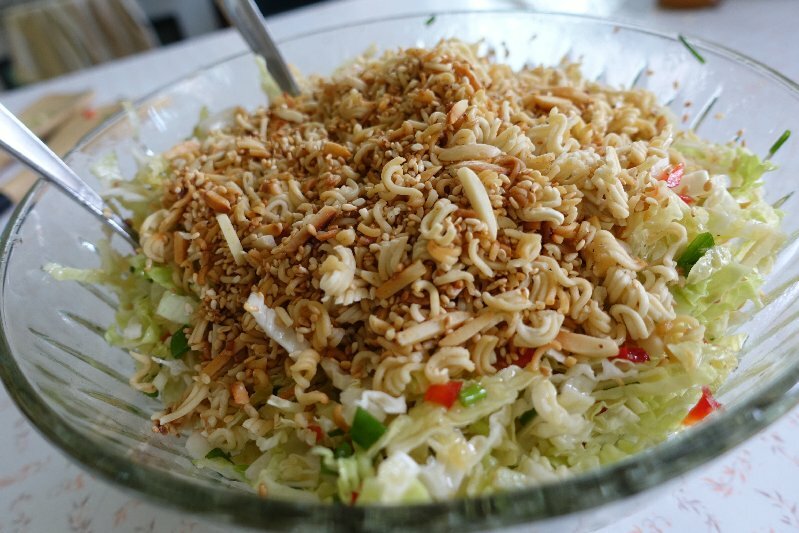 My favourite thing about this salad is how browning the noodles, sesame seed and almonds in butter adds a wonderful buttery crunch to the crisp cababge! Combine cabbage, green onions and red peppers in a large bowl and set aside. Melt butter in pan. Break noodles up into small pieces and add with sesame seeds and almonds to pan. Fry until nicely browned. Watch closely so it doesn't burn. Remove from pan to paper towel. Cool. Mix soy sauce, sugar and vinegars until well blended. Add vegetable oil and salt and mix well again. Just before serving, add noodle mixture to cabbage mixture and pour dressing over. Are the Oriental noodles Ramen noodles? If so, does the seasoning pack get used? I made this today... It's to die for... Thanks Bev!